Metro will open at 6 a.m. on Sunday, Oct. 22 for this year's Marine Corps Marathon. The marathon course begins in Arlington, Virginia, and runs through D.C.
WASHINGTON — Metro will open at 6 a.m. on Sunday, Oct. 22 for this year’s Marine Corps Marathon. The marathon course begins in Arlington, Virginia, and runs through D.C., a press release revealed Tuesday. See a full map of the course here. Both the marathon and the Marine Corps 10K will start together at 7:55 a.m. The 10K, however, will start on the National Mall in D.C., but will finish alongside the marathon at the U.S. Marine Corps War Memorial in Arlington. 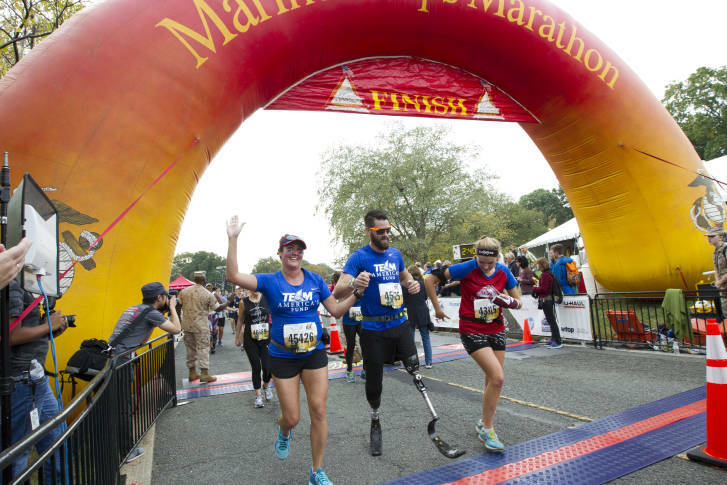 Marine Corps Marathon weekend starts Friday, Oct. 20 with a variety of events at National Harbor in Maryland. Find more information at the Marine Corps Marathon website.